Samsung will showcase a revamped version of its Galaxy S II with LTE support and more, and it’s due to be unveiled next week at the IFA 2011 expo in Berlin. It will also launch a new version of the Galaxy Tab 8.9 slate, which could land in just three days on August 29th at an event held in New York. The Galaxy S II will have a bigger 4.5″ SuperAMOLED Plus display, a multi-mode LTE/WCDMA/GSM radio inside, NFC, a slightly beefier 1850mAh battery and finally, a snappier 1.5GHz dual-core processor. Sounds a little like a Galaxy S II Plus, doesn’t it? Specs aside, it will feature a revamped back panel, which is quoted to look made out of brushed aluminum. 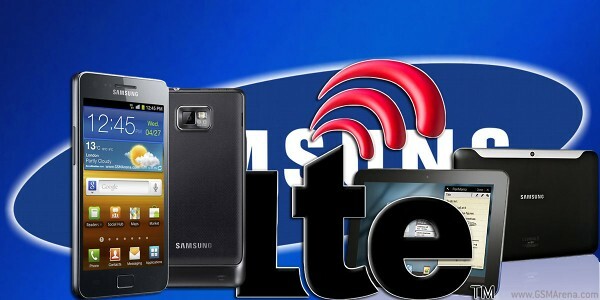 The Galaxy Tab 8.9 will receive LTE support, the latest version of Android – 3.2 and much like the Galaxy S II LTE, a faster 1.5GHz dual-core processor. Aside from those differences it will retain its 8.6mm thickness and 455g weight to remain a very comfortable slate to use. The Galaxy Tab 8.9 could be announced even before the start of IFA during a Samsung New York event on August 29th – that’s in only three days! While IFA kicks off on September 2nd in Berlin. Now I’m not exactly sure in what way or by what channel Samsung confirmed this info to SammyHub.com, but the website usually gets such things right so even if it’s only a friendly word of mouth, I’m willing to bet the whole thing is true. Update: Indeed the original source of this info is the South Korean Young Samsung, a website of a company that claims to be an affiliate of Samsung Group, yet an independent corporation.